The Columbia River Gorge is a land of scenic wonder, revered by tourists for its beauty and by recreationalists for its fishing, windsurfing, hiking, and rafting. 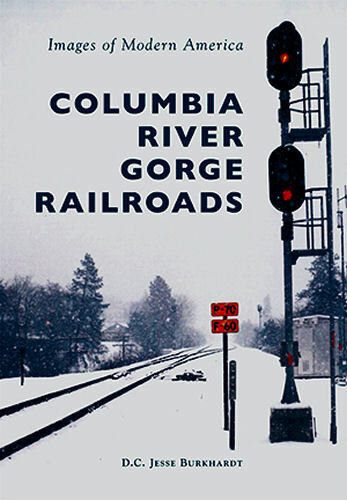 The region is also a major transportation corridor, home to two vital east-west railroad routes: Burlington Northern Santa Fe on the Washington side of the Columbia River and Union Pacific on the Oregon side. Every day, dozens of freight trains—as well as Amtrak passenger trains—snake along on opposite banks of the wide river, and rail operations have become an integral part of the heartbeat of the gorge. The colorful images in this work celebrate the art and magic of the trains that move goods and passengers through this striking, rugged landscape. Soft cover.